After originally breaking onto the music scene during the 80’s leading the post-new wave pop group ’Til Tuesday, Aimee Mann has gone on to establish herself as one of the most distinguished singer-songwriters of her generation. Her successful solo career has spanned several decades with the release of seven critically acclaimed solo albums, including the profoundly popular soundtrack for the film Magnolia, which garnered her an Academy Award nomination for Best Song in 2000. Aimee has been very busy since she release her last album, she performed for the President at the White House, appeared as herself on the TV series Portlandia and fast became an internet darling. Named one of The Huffington Post’s “13 Funny Musicians You Should Be Following On Twitter,” Mann has gained a diehard social media following for her quick wit and stinging observation, much of which is reflected on the new album. 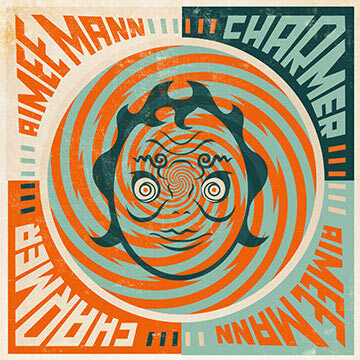 The long awaited new album Charmer, will be released September 18 on Superego Records.